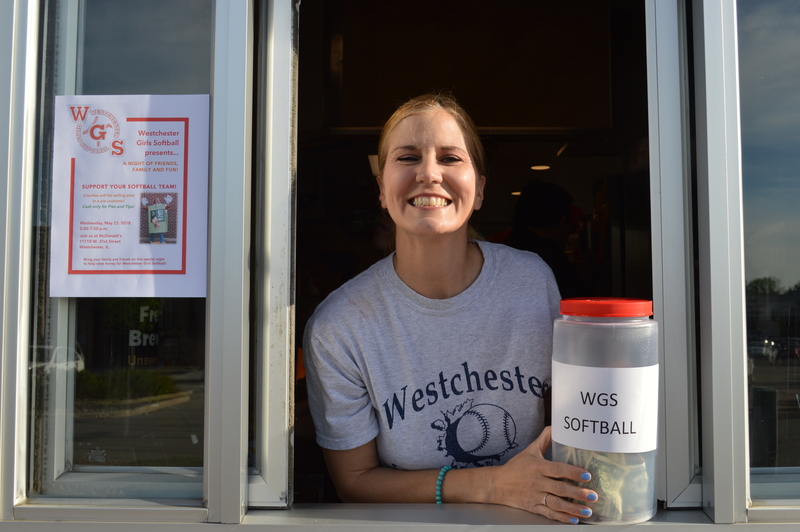 Westchester Girls Softball held a fundraiser Night on Wednesday, May 23rd at the McDonald’s located on 31st. Street in Westchester. What a perfect night for a Fundraising event. The Coaches were happy to serve freshly prepared meals to students and their families and raise money for WGS. Many coaches worked at the fundraiser night. The jobs included greeting guests, cleaning the lobby, working the front counter, selling pies, and making refreshing ice cream treats. 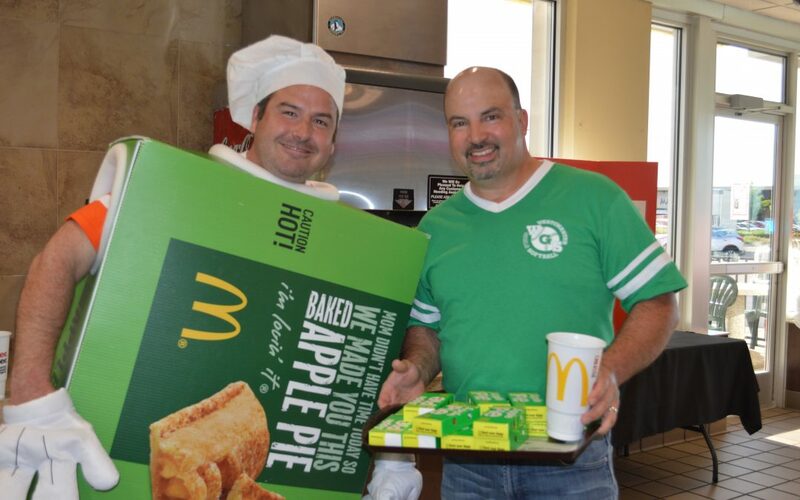 Coaches Cline, Grammas and Williamson all dressed in the pie costume and they were assisted by pie sellers Schoo and Michels and many of the WGS Board members helped as well. A Special thank you goes to Peggy Perry of the WGS Board, who organized the event as well as everyone who volunteered and worked so hard to make this a great night for WGS. The team plans to use the funds raised for supplies for the team. 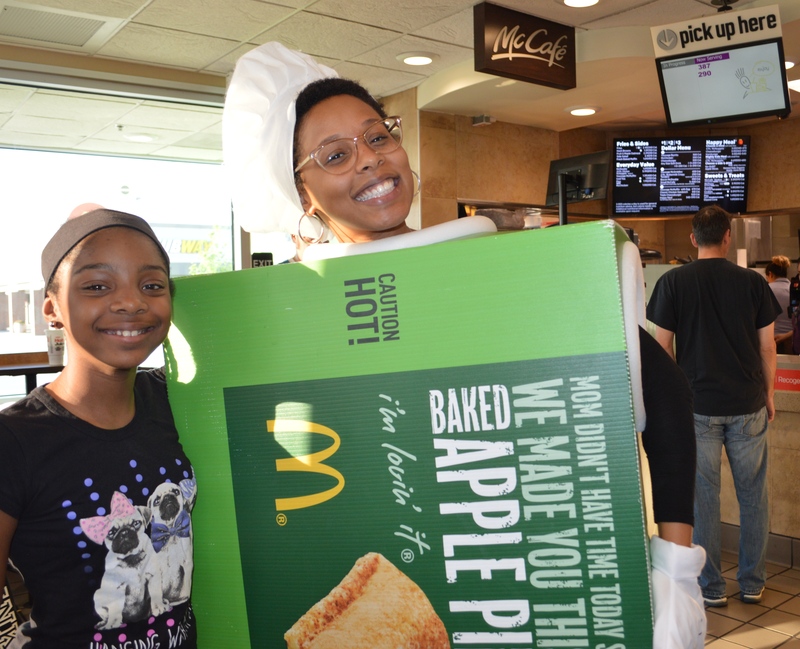 To set up an event contact the Westchester McDonald’s Community Relations Director: Julie Travers at julie.travers@comcast.net.